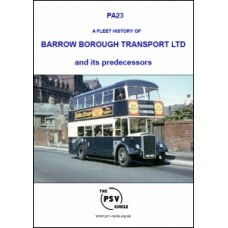 These are all published by the PSV Circle and are thoroughly researched and give extensive information about the vehicles operated by the operator concerned. Details of companies taken over and of the subsequent operators of vehicles known at the time of printing are usually given. If the publication you are looking for is not listed on this site it is now out of print and no longer available. If addenda have been prepared, these will be supplied with the publication. 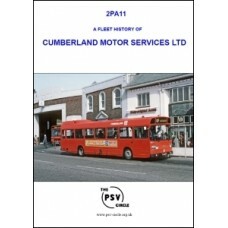 2PA11 Cumberland Motor Services Ltd.
A Fleet History of Middlesbrough, Stockton, Teesside Railless Transport Board (2nd Edition)..
A Fleet History of Darlington Transport Company & Predecessors (2nd Edition)..
A Fleet History of OK Motor Services Limited (2nd Edition)..
A Fleet History of Trimdon Motor Services..
A Fleet History of Hartlepool Transport & Predecessors..
PA23 Barrow Borough Transport Ltd.
A Fleet History of Barrow Borough Transport Ltd and its predecessors..
A Fleet History of Busways Travel Services & Tyne & Wear Omnibus..